The home is to us, as roots are to a tree…the more balance it has, the greater the potential for growth & longevity. The stronger the roots, the more we can withstand. Our foundations are the birth place of all other aspects of our lives… & our homes are most often the platforms upon which we build our lives. 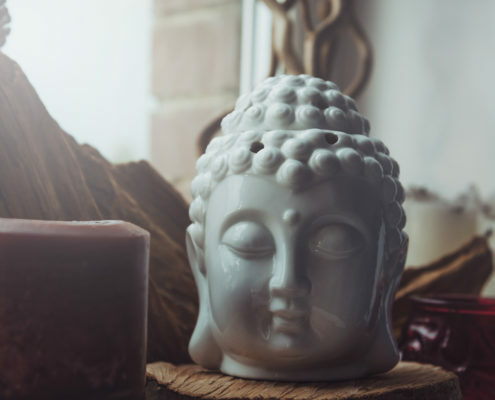 Feng Shui draws upon ancient wisdom that reveals hidden influences within the environment that can be harnessed for the well being of it’s occupants. I have been helping people fine tune energy within their environment, professionally since 2003 – implementing the use of traditional philosophies around living in harmony with the natural environment and it’s vibrational energies. Using design principles that consider the natural balance of elements for the greater flow of energy, I offer consultation and advice on how to best orient one’s physical environment in order to create a nurturing balance to promote a better quality of life. Garden design and water feature placements – to avoid stimulating negative (detrimental) energetic influences, and ensure you are stimulating the best types (areas) unique to the energetic (flying star chart) map of your building and surrounds. Unveil how to enhance your living space to it’s full potential and best utilise it for a greater sense of comfort, balance and harmony. Consider the space you create to in turn become the womb in which your life can take form, and from which it is born. Just as birds of a feather fly together…the surroundings we seek are the mirrors that speak. “Leah’s heartfelt approach to her work is very inspiring. Her genuine commitment to making a difference shines through as a practitioner and teacher. 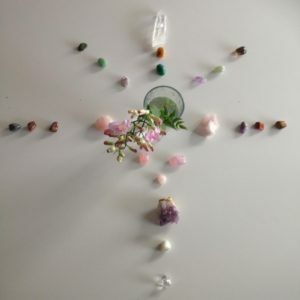 I have been lucky enough to have a Feng Shui consultation by Leah, where she helped transform my healing room into a nurturing and balanced space, a room where my clients cross the threshold and begin the inner work even before the door has been fully closed.